If you see something suspicious, call the non-emergency police number and tell them you are part of Meadowbrook Farm neighborhood watch, they will come immediately. The non-emergency number is (804) 748-1251. We need BLOCK CAPTAIN VOLUNTEERS. Serves as a liaison between the coordinator and the residents. Assists the coordinator in planning and conducting meetings. Maintains accurate and current listing of watch members. Assists in maintaining block map information. Notifies residents of meetings and training sessions. Designates work assignments as needed. GET INVOLVED IN YOUR OWN PROTECTION If you see something suspicious, call the non-emergency police number and tell them you are part of Meadowbrook Farm neighborhood watch, they will come immediately. The non-emergency number is (804) 748-1251. We have volunteers (Block Captains) from within Meadowbrook Farm to help provide a communication link between neighbors within an assigned area and the Neighborhood Watch volunteer coordinator, Jan Parrish. 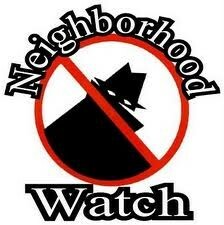 The continuity and success of the Neighborhood Watch program hinges on the person referred to as the Block Captain. The “Block Captain” is a community member who acts as a liaison between those who work and/or live in a particular area, and the community coordinator, Jan Parrish who acts as liaison between the block captains and the officers assigned to that area. Through the Community Coordinator, Block Captains, and through Neighborhood Watch meetings, officers pass along crime prevention tips and information to members of the community. This liaison is maintained on an informal basis within the framework of the Neighborhood Watch group. Block Captains retain data sheets to help reach residents in the event of emergency. They also distribute the neighborhood flyers and invitations to community functions and coordinate our annual National Night Out block party.